Checking accounts are one of the most popular accounts you can apply for in the bank. The benefits of checking accounts vary from payment convenience, to receiving your salary straight to your account. One bank that offers a stable checking account is First Citizens Bank. 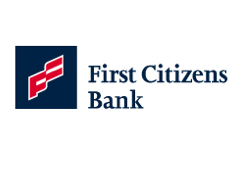 First Citizens bank is a North Carolina state chartered commercial bank that has been providing quality services to its clients. Its main headquarters is in Raleigh, North Carolina which is also owned wholly as a subsidiary of the First Citizens BancShares, Inc. The bank provides financial assistance and help to those who need it. They are certainly committed in making sure their clients get everything they need and they assist theor clients all throughout the process of applying for any accounts, cards, loans, and mortgages. First Citizens Bank have different kinds of checking accounts that people can apply for. They have the free, premier, military, and select checking accounts. The select checking account is a convenient choice for many because it does not have monthly service charges as long as there is a direct deposit made or when the account owner will be able to maintain the minimum average balance. The initial deposit for this is only $1 and unlimited check writing is provided. A free VISA debit card and free online bill pay and banking is also given when people will have this kind of checking account. With the Select checking account, account holders can enjoy the conveniences of writing unlimited checks plus they can open an account for as little as $1. These are good enough reasons to apply for a checking account in First Citizens Bank.